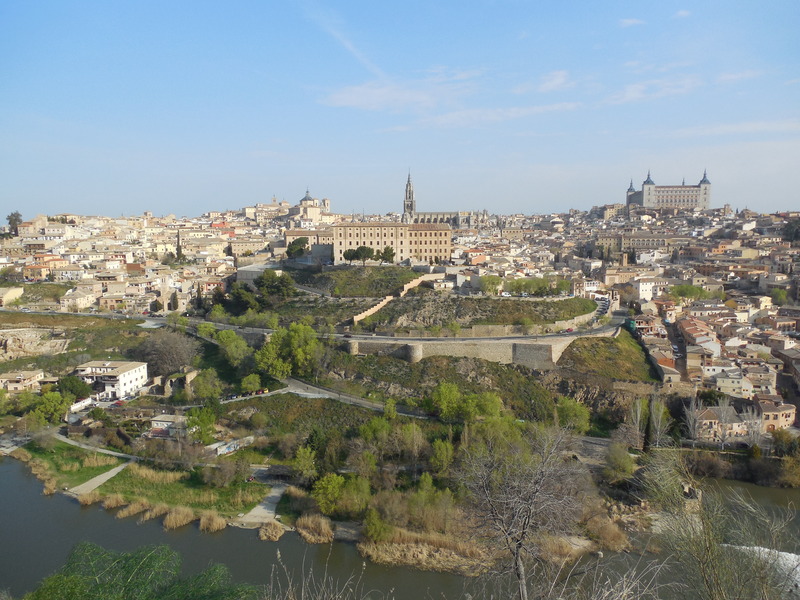 A short distance from Madrid, heading south, Toledo makes for a pretty good day trip. 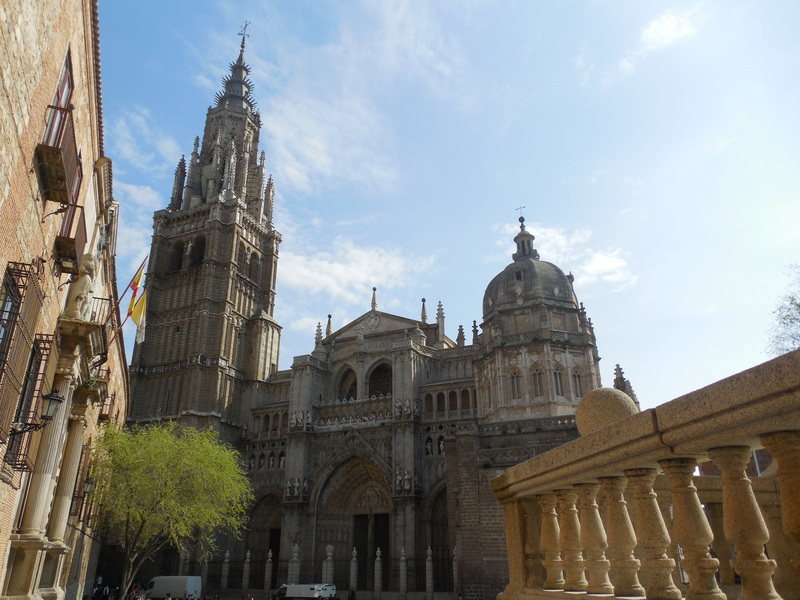 Founded by the Romans as a fortified city, Toledo carries the nickname the “city of three cultures,” due to the Jewish, Christian and Muslim populations that once had lived alongside each other for years. Like much of Spain’s southern region, this mountainside city has had its fair share of change over the centuries due to being take over by different rulers. Toledo once had been an industry powerhouse too: everything from steel to silks and ceramics were produced here. Yet even today, this old’s city artistic and architectural legacy still attracts visitors. Plus, you can get to this UNESCO World Heritage site by car, train or bus. If you’re heading to Toledo by car (I got there by bus), the hillside scenery along the route from Madrid (you travel down via the A-42 highway) is worth the “stop to take photos” scenario. It’s a panoramic view. 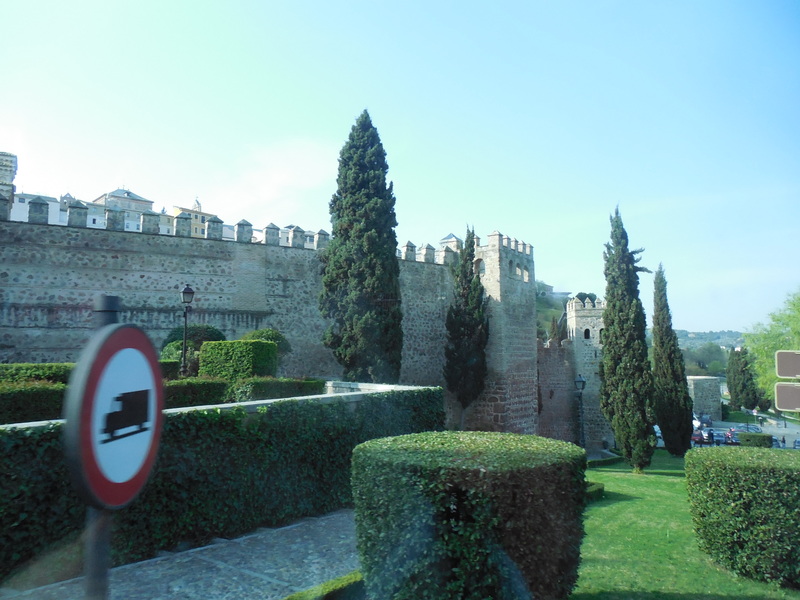 Stare straight ahead in the distance and among this skyline you’ll find the Alcázar of Toledo, built as a stone fortress, then used as a royal palace, and then during the height of the Spanish Civil War was severely damaged. It was rebuilt and presently holds a museum and library. Of course, you explore Toledo by foot. Very carefully. You’re walking up hills and on cobblestone streets. There are a number of churches, monuments and museums that are not badly far in distance from each other. 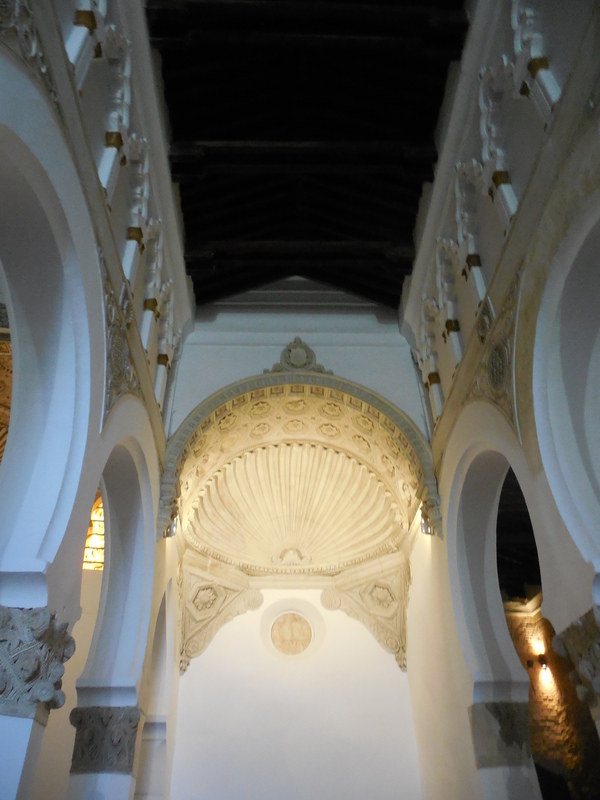 Inside the Church of Santo Tome, groups primarily come to view “The Burial of the Count of Orgaz,” a masterpiece by the artist El Greco (meaning “The Greek” in Spanish). El Greco, which is what he is referred to than his actual Greek name, spent the latter part of his life in Toledo. This quite large, oil painting hangs in a tight fit room, but from wherever you’re standing, you can take in all this painting. It’s based on a local legend involving a very pious man, and is divided into two sections. El Greco was chosen to paint this masterpiece, which best replicates how the Spanish men looked in time this painting was created in the late 1580s. You can also spot El Greco’s self-portrait in the painting. He’s the third man from the left side. 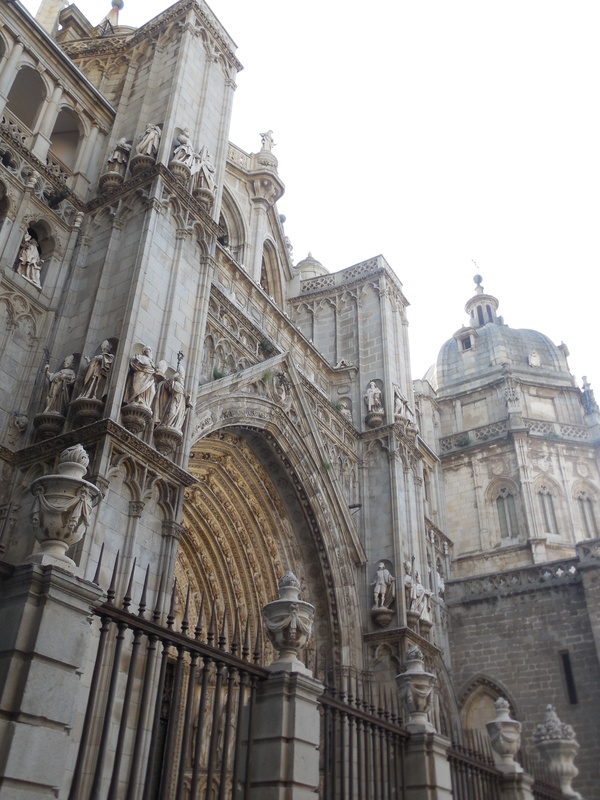 Another landmark is the cathedral of Toledo, a beautiful 13th-century High Gothic cathedral that was built on top of the city’s former mosque. 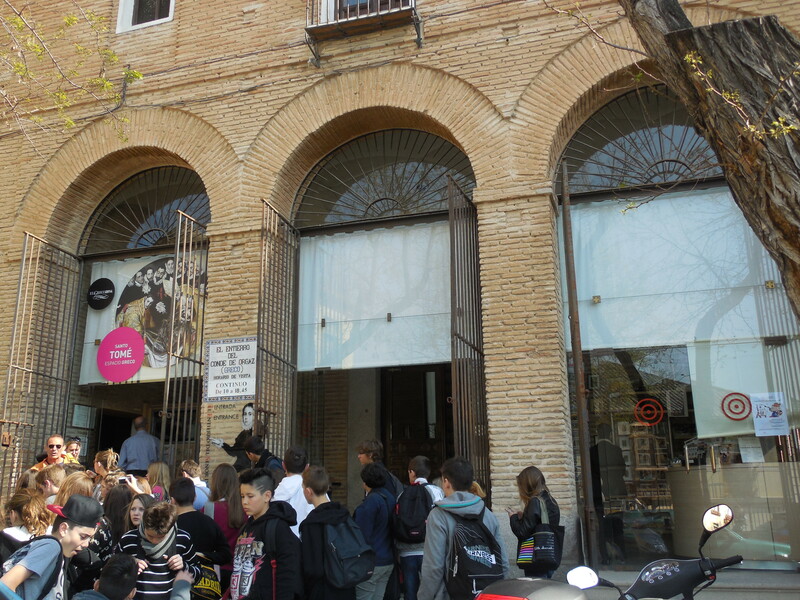 It’s considered to the best of this architectural style in Spain. If you walk up a street across from the cathedral, and hit just the right angle with your camera/smartphone lens, you can get a postcard snapshot like mine below. 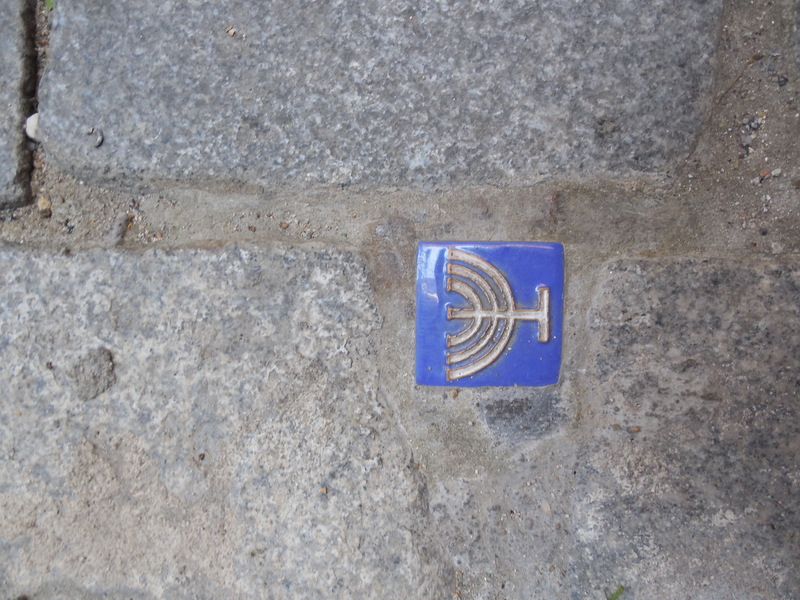 While walking along Toledo’s former Jewish Quarter, a thriving section up until the expulsion of Jews from Spain in 1492, look down at the pavement. 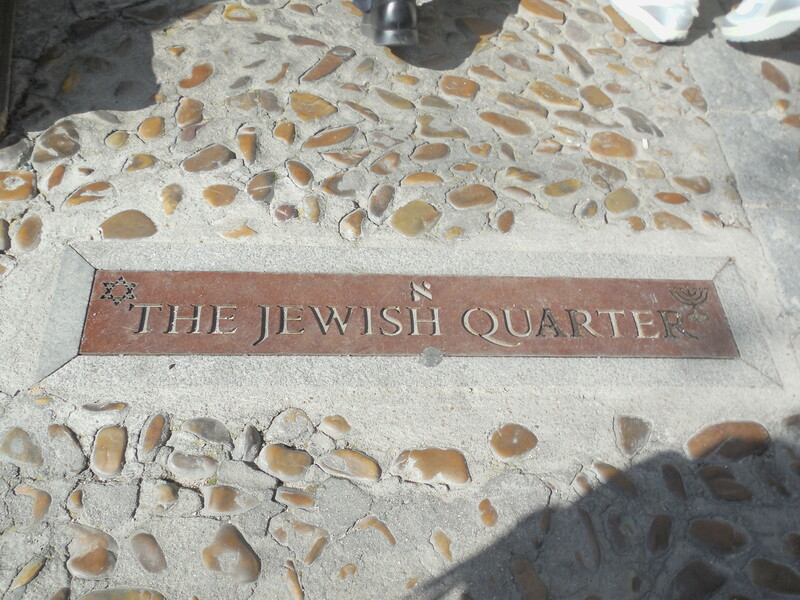 You’ll notice markers that are religious symbols, indicating that you’re following along the quarter. 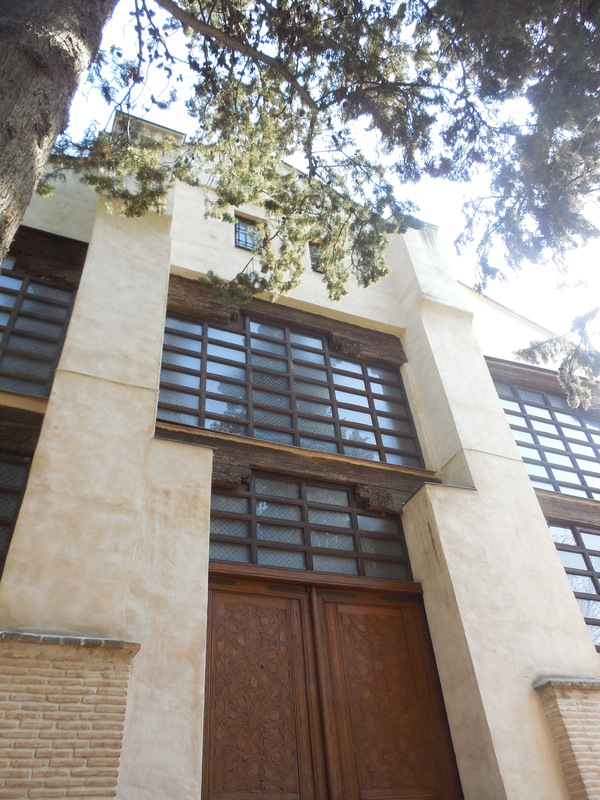 In this quarter, pay a visit inside the Santa Maria la Blanca Synagogue, considered to be the oldest synagogue in Europe that’s still standing. Seeing its interior might make you second guess this place had been built as a synagogue, as its appearance doesn’t reflect how many of them commonly look. 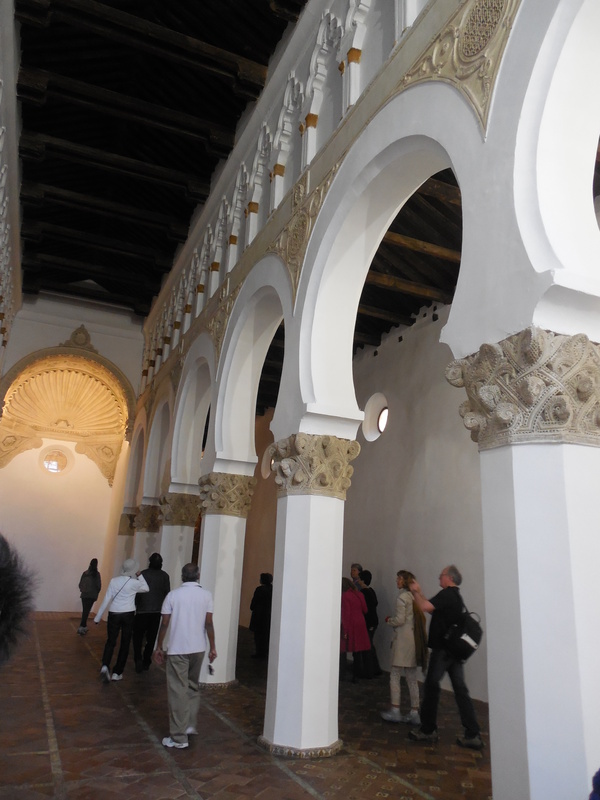 Designed by Moorish architects, the temple is was constructed using the Mudejar style (created for non-Islamic purposes). The floor plan consists of an unusual mix of aisles. There are a series of beams supported by octagon piers. 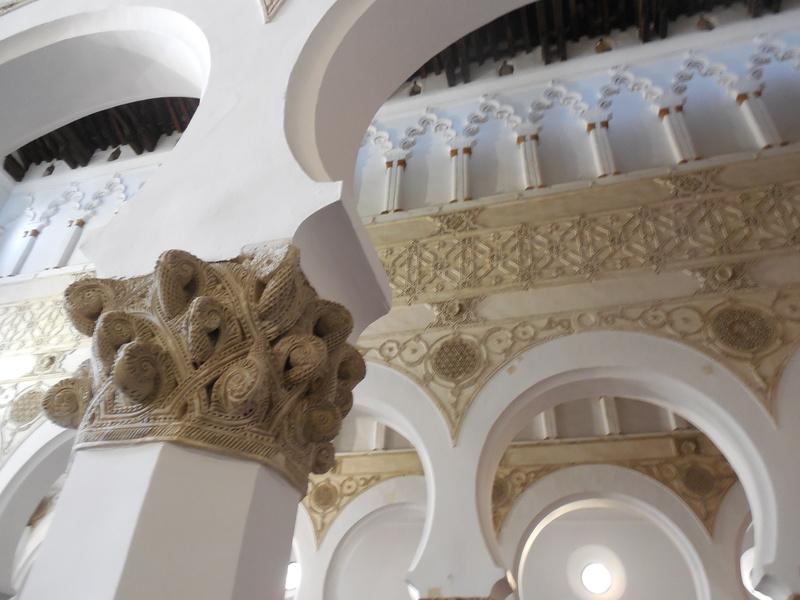 Arches are graced with intricate designs, more in line with nature-inspired symbols than religious ones (my guide happened to point out a hard-to-find Star of David carvedon one beam). 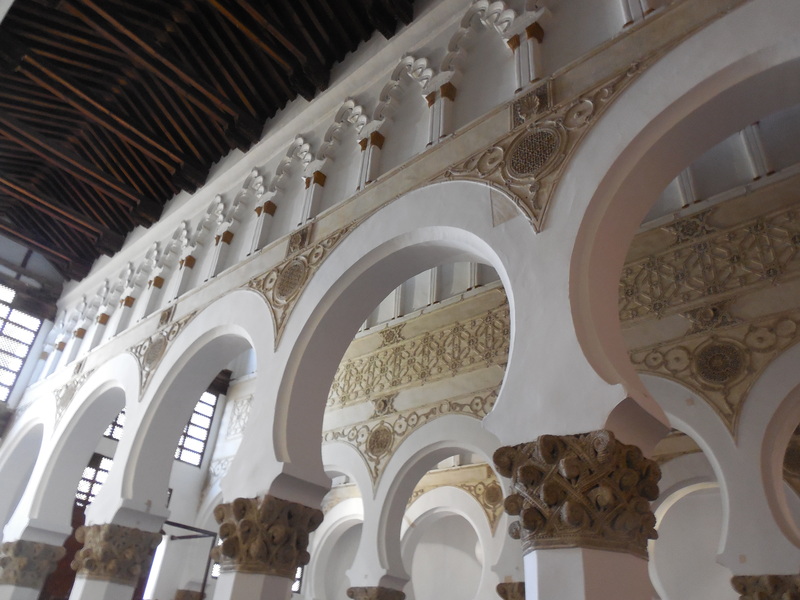 Now as a museum, the Santa Maria la Blanca Synagogue later went from being a temple to a monastery, and then was used as an armory and warehouse for a sword factory. 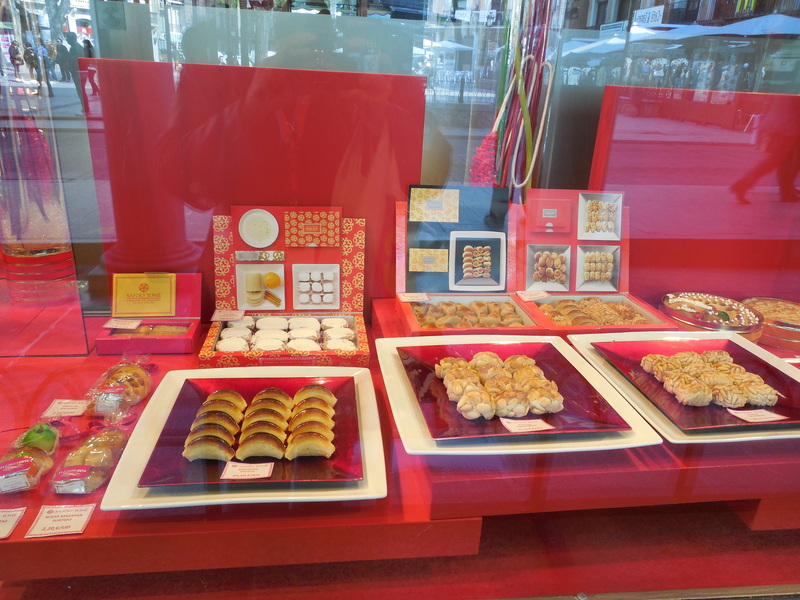 One sweet find in Toledo is marzipan, a creamy confectionery made from almonds and sugar. It’s not hard to find a shop that solely offers this handmade treat. You can find it in its basic state or filled with chocolate and even shaped to look like little fruits or vegetables. 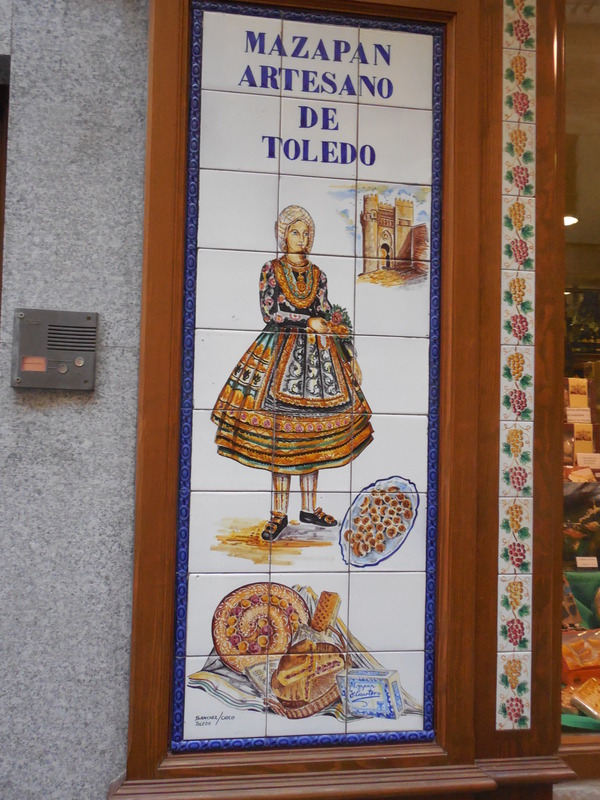 For a whole day or just half of one, it’s good to head to Toledo and explore its three cultures. 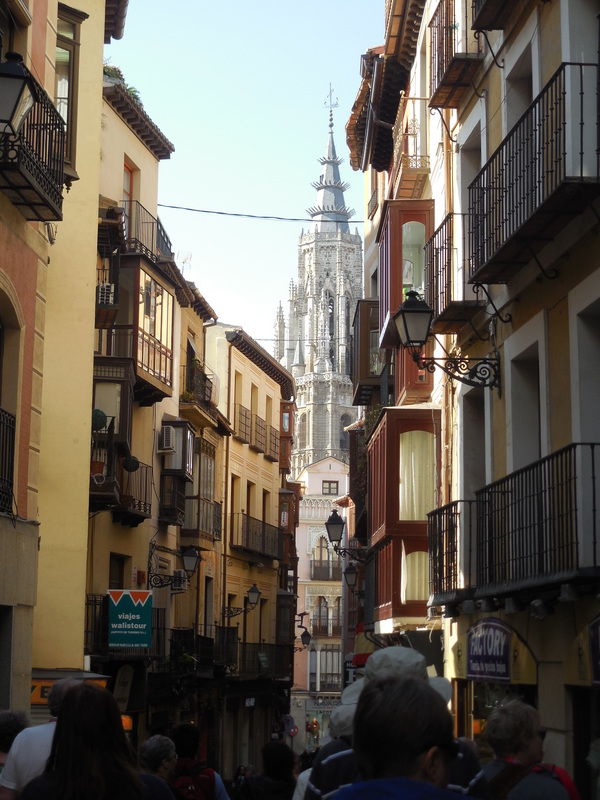 This entry was posted in Culture, Europe, Historic Places, History, Personal Interests, Spain and tagged culture in Toledo, Toledo Spain, what to do in Toledo, what to see in Toledo, what to see in Toledo Spain on April 10, 2014 by She Is Going Places.